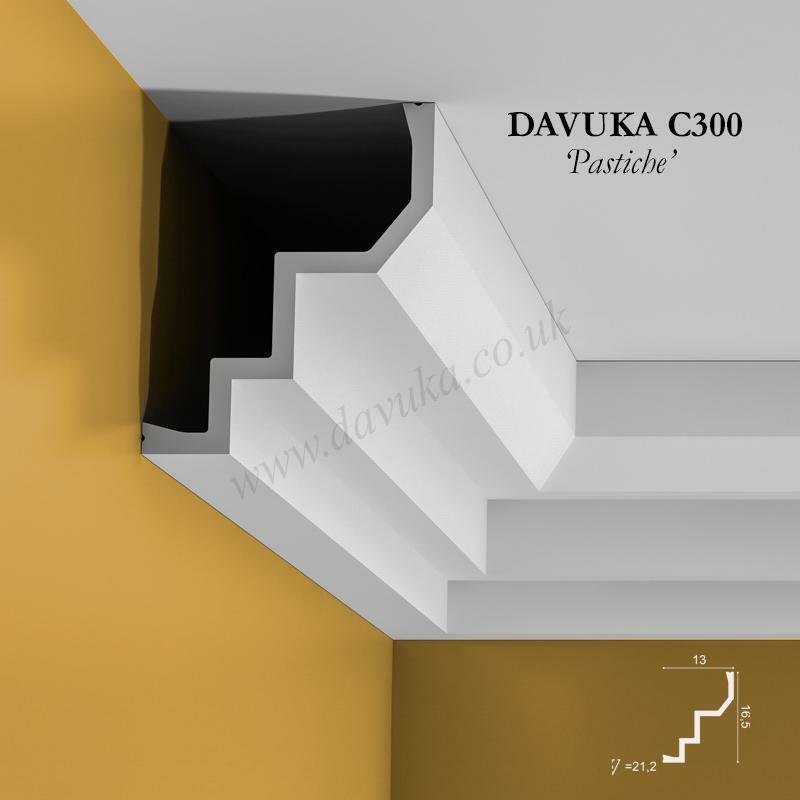 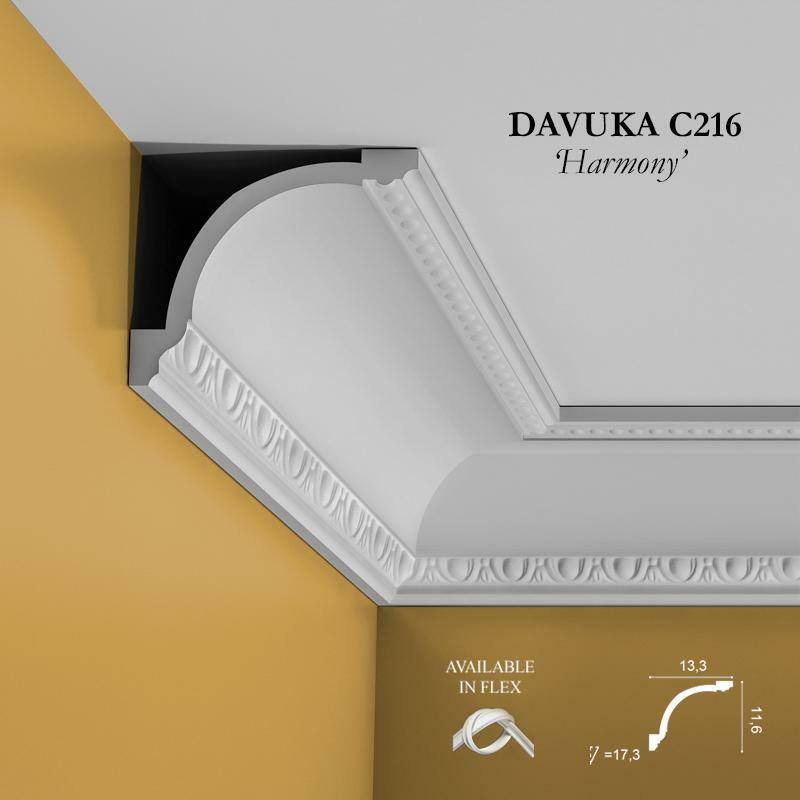 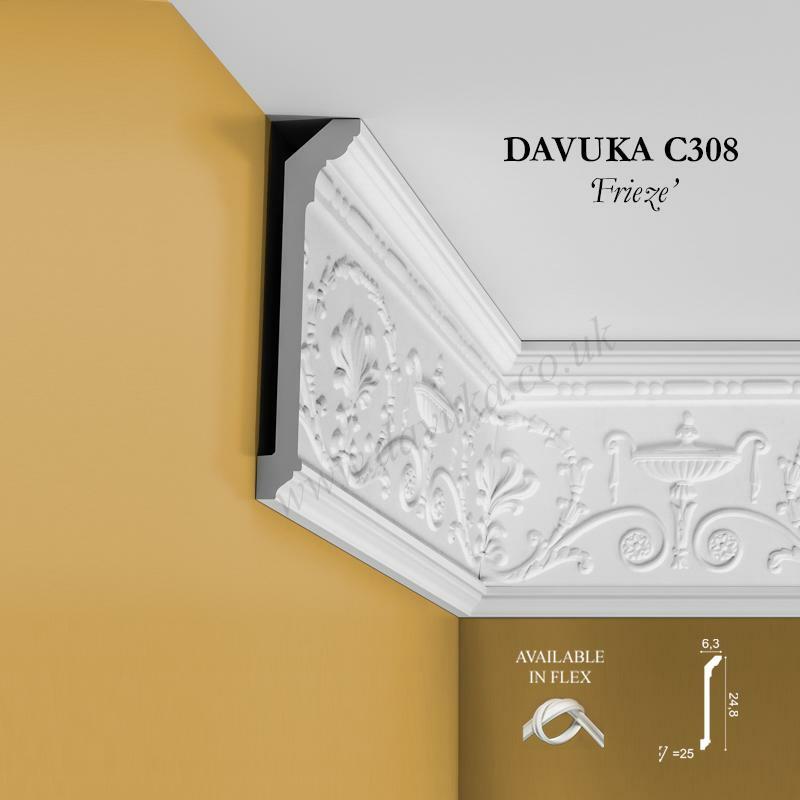 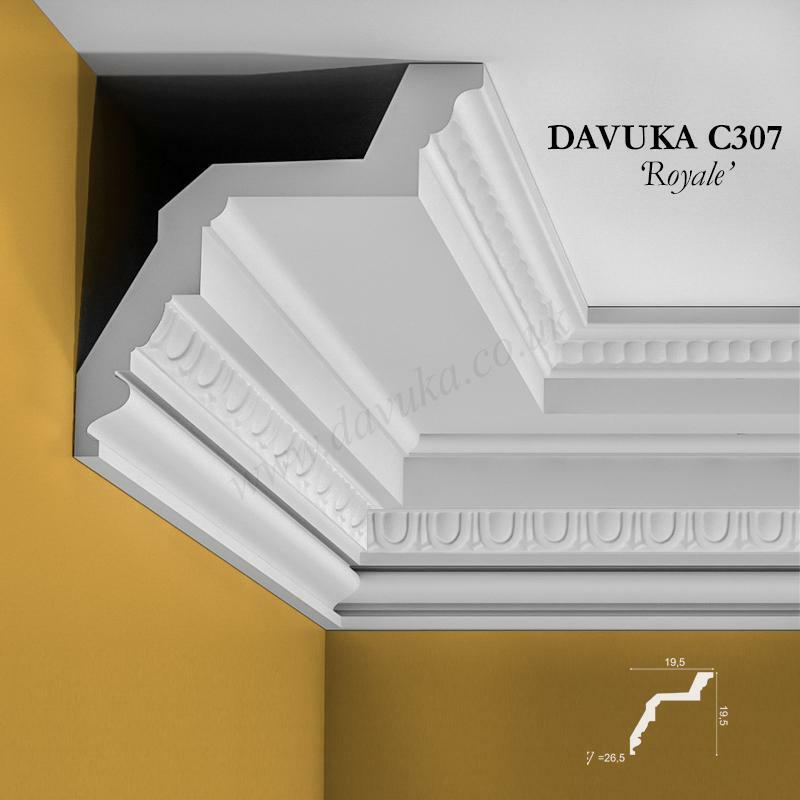 Davuka C402 – Another different cornice style for a more modern look that brings high texture into your room. 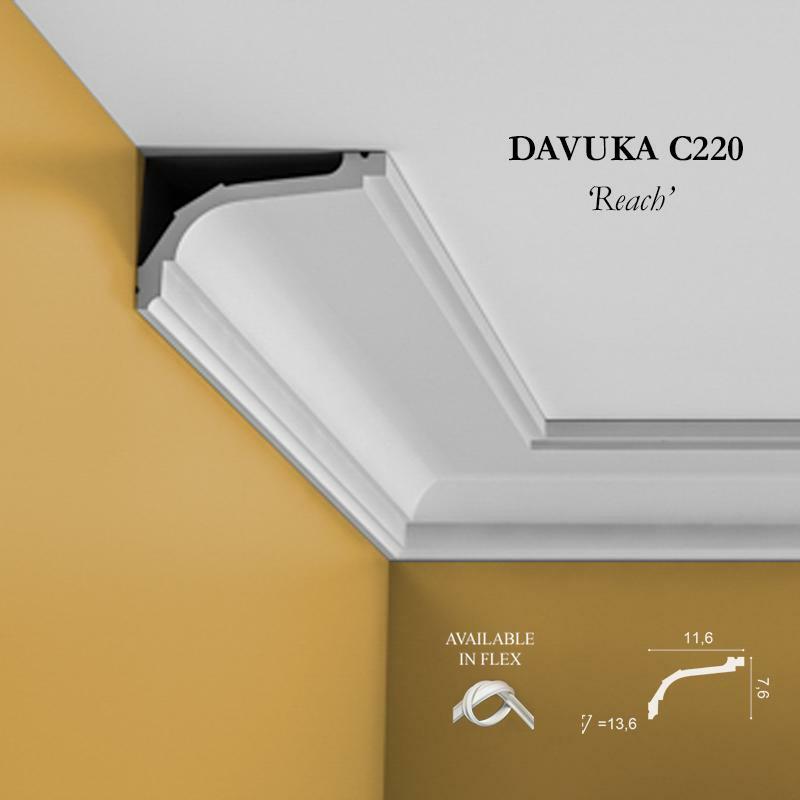 Min radius for flexible version 3.0m. 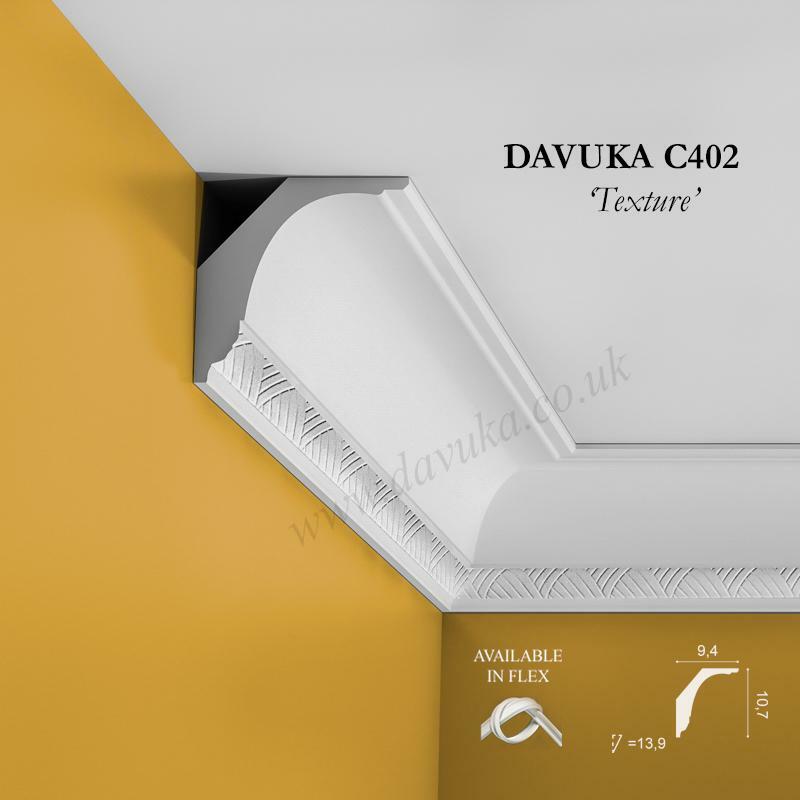 Using Correct Adhesives for the C402 ‘Texture’ cornice – IMPORTANT!